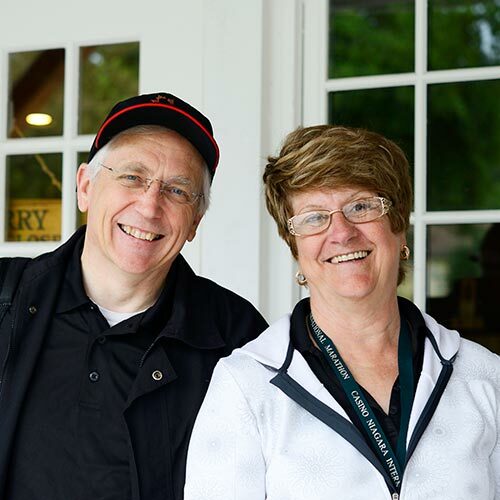 The Friends of Laura Secord and the Niagara Parks Commission have collaborated to provide FREE ADMISSION to this world-famous attraction for Laura Secord Day only. 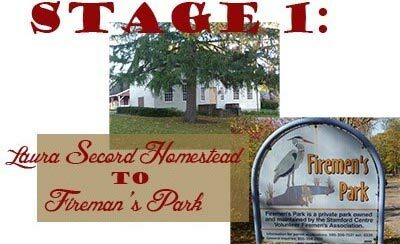 Tour the homestead. Enjoy the music and the free snacks. Visit the picturesque grounds. See the exhibits and experience the activities. 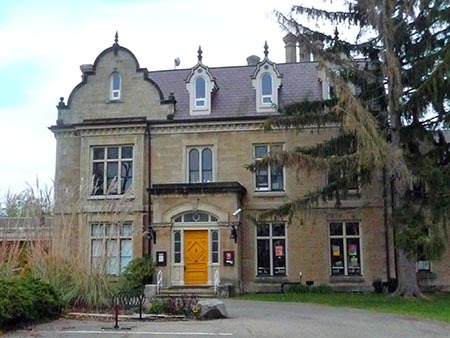 Attend informative talks about Laura Secord and her legacy at the Queenston Chapel. Take your photo with costumed guides. Then hop on the free Secord Shuttle and join the other Laura Secord Day activities at the Outlet Mall at Niagara and at Ravine Vineyards! Captain John DeCou Perspectives from a descendent, by Bob McBride 11:00 a.m.
A dramatic portrayal by Maja Bannerman 12:00 p.m.
An illustrated talk by Cecilia Morgan 1:00 p.m.
An Overview by David Hemmings 2:00 p.m.
Robert E. McBride, UE, is a descendent of Captain John DeCou and as past president of the United Empire Loyalist Association of Canada. 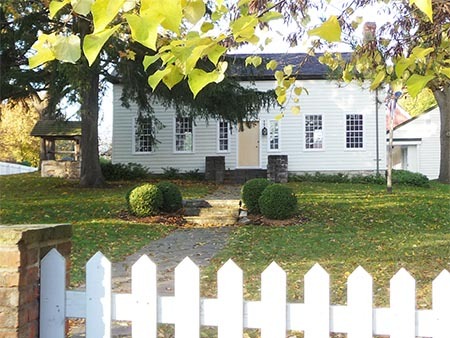 He's therefore ideally situated to provide an autobiographical overview of the Captain whose home and farm ended up figuring so prominently in Laura Secord's famous adventure. Join Bob for an informal discussion of the Captain's storied life and times, as well as a retrospective look at what it means to be the descendent of a famous historial figure. Saturday 21 June - 11:00 a.m. Throughout her long and varied career, Maja Bannerman has been bringing people to life - and life to people - through original storytelling, theatrical performance and music. Her characters come to life before the audience's eyes, enthralling all ages in surprising and moving ways. Once again Maja will be performing as Laura Secord, providing a unique and compelling glimpse into the life and personality of Canada's favourite heroine. Saturday 21 June - 12:00 - 1:00 p.m.
Join University of Toronto historian and Secord researcher Cecilia Morgan as she traces Laura Secord's portrayal in literature and the visual arts. From prim octagenerian widow through noble heroine to demure chocolate box icon, Laura's image and story have been used in a myriad of ways that probably say more about her audience and their times than about the woman herself. Saturday 21 June - 1:00 - 2:00 p.m. Historian and genealogical researcher David Hemmings has been tracing Laura Secord's lineage for many years. Come hear about her fascinating family history, her diaspora of relatives in places as far-flung as Guatemala and Norway, and the new techniques for genetic analysis that are being used to better understand and unravel the Secord family history. Saturday 21 June - 2:00 - 3:00 p.m.
Pam Mundy will be on hand to discuss the baking techniques and clothing from Laura Secord's era. Learn about the challenges of baking cookies without baking soda! Pam is a Red Seal chef with extensive culinary experience, and has been designing, creating and making historical costumes since she was 10 years old. During that time she has costumed over 30 major period productions winning four awards at Theatre Ontario. Her skills were honed at Niagara College's Theatre Arts Program. 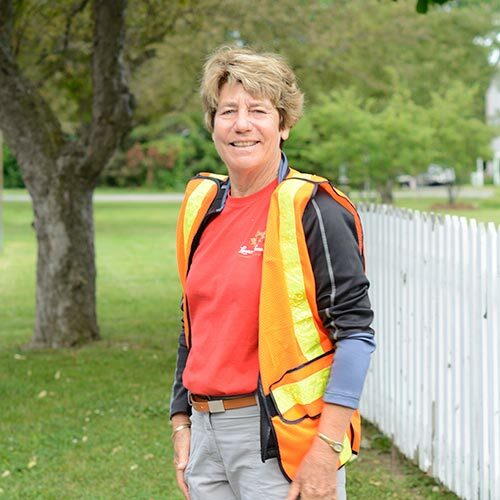 She currently spends her time making reproduction clothing for individuals, museums, short films and theatrical productions, gives talks on Costume and Regency Food, and is an amateur performer in 'Walks Through History' in Niagara on the Lake. Saturday 21 June - 10:00 a.m. - 3:00 p.m.
Join Laura Secord fans in a casual, no-frills, FREE re-creation of Laura's famous walk. 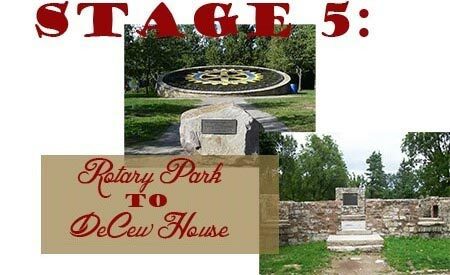 Challenge yourself with the full blister-inducing 32 km trek, join the mid-morning trekkers for the 14.4 km Haul to the Mall, or have fun with a 4.5 km 'Laura Secord Lite' hike inspired by St. Catharines Standard journalist Doug Herod (see article)! Pre-registration is required! Walk at your own risk. Click for details. - OPTION 1: Walk the FULL Walk! 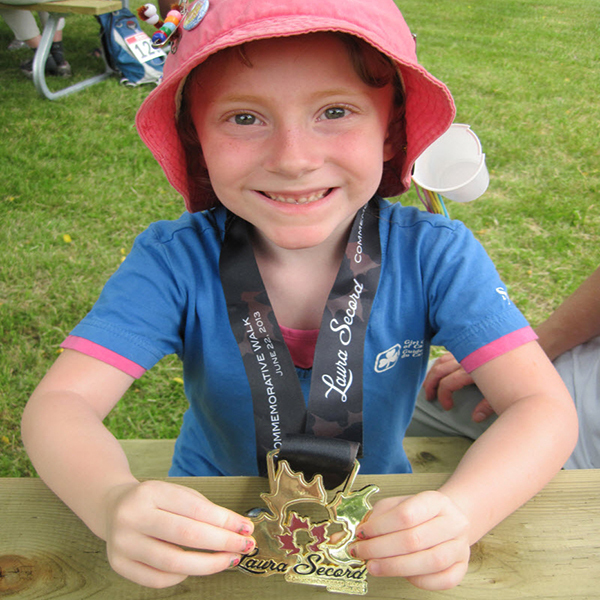 (the 'Laura Secord Lite' hike)! courtesy of the Outlet Collection at Niagara!! VISIT OUR PHOTOBOOTH Get your photo taken with Laura Secord herself, or with costumed re-enactors, and send it out in real time on Facebook! 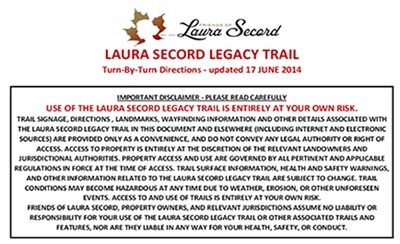 CHECK OUT THE ROUTE of the Laura Secord Legacy Trail - a proud partner of the Trans Canada Trail network, and the first hiking trail in Canada to go through a shopping mall ! PICK UP A SNAZZY FRIENDS OF LAURA SECORD CAP - a $20 value on sale on Laura Secord Day for only $4.99! Rosalee Peppard is an award-winning singer, musician and 'herstorian' who has devoted her life to telling the stories of women in song. Rosalee collects and transcribes an authentic living echoes of the voices of Maritime-Canadian women she interviews and researches. She crafts their stories into song, and shares them powerfully in her hauntingly beautiful live performances. Through a variety of musical voices - from folk to blues to opera - she sings of love, literacy, triumph over loss and shame, heritage, and humour, all soaring on Rosalee's shimmering voice, self-accompanied on guitars and mountain dulcimer. 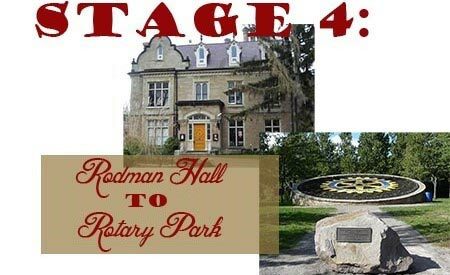 Rosalee's 2004 song Laura Secord is the only song written from Laura's first-person perspective, replete with sounds of running through the woods and musical themes associated with the First Nations. Like much of Rosalee's work, it connects the strength of a remarkable woman with the rich tapestry of our shared history. Saturday 21 June - 11:00 a.m. - 3:00 p.m. Put on some period clothes, pose with some convincing costumed re-enactors, and blast your historically hip, Secord-savvy digital image all over cyberspace with a direct link to your own facebook page! 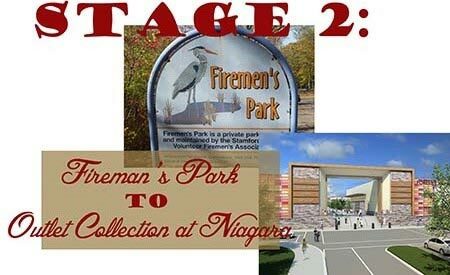 The NeverForgetPhoto Digital Photobooth will be onsite at the Outlet Collection at Niagara Mall from 10:00 am until 4:00 p.m. Folks from the Niagara Historical Society and Museum will be on hand to help you dress up and get snapped. 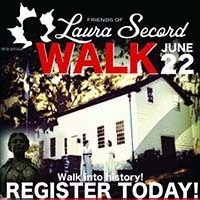 Stand tall beside Laura Secord! Flash a smile with Captain James Fitzgibbon! 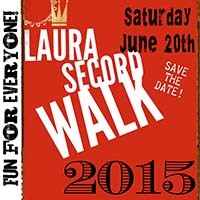 Come join our cyber-celebration of the Laura Secord Legacy! Try a specially-priced Laura Secord wine, cheese, and confectionary pairing - 3 amazing Ravine Vineyards wines, 3 delicious local cheeses, and a sample of delectable Laura Secord candies for dessert, for only $10 per person. Pre-registration is required! Call or email Laurie at 905-262-8463 extension 29 / laurie@ravinevineyard.com to make your reservation. Hop in the car, jump on your motorcycle, get on your bike, or put on your walking shoes, and follow one of the following Laura Secord - themed interpretive tours, complete with directions, TripClip audio commentary, photos, and tons of background information. 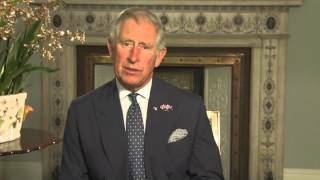 Laura Secord Grand Tour- an auto tour of Secord-related points of interest encompassing Niagara on the Lake, St. Catharines, Thorold, and Niagara Falls. South Niagara Laura Secord and Beaverdams Experience - an auto tour of points of interest important in Laura Secord's life and in the War of 1812. 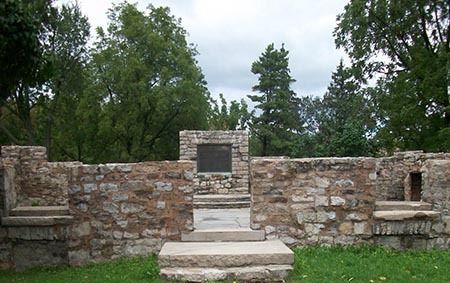 The Queenston Walking Tour - a walking tour of the picturesque village of Queenston, the location of the Laura Secord Homestead. 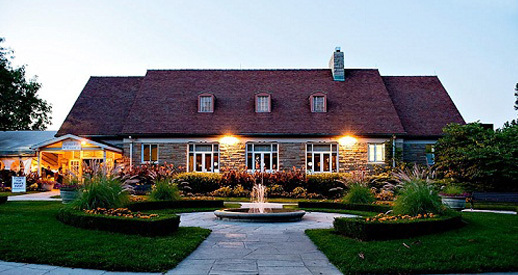 From Thursday, June 19 through Saturday, June 21, Executive Chef Bill Greenan will be producing a daily Laura Secord Platter at Queenston Heights Restaurant. Chef Bill always puts out something unique, fresh and seasonal each day. Come out and celebrate Laura Secord's legacy with a Queenston culinary adventure! Laura Secord and her children may well have made Spice Jumble cookies at the Secord Homestead during their days in Queenston. The recipe for this special Laura Secord commemorative cookie was taken from a period recipe and cookbook. Visit the Tea Room at McFarland House and try one with your afternoon tea! Saturday 21 June - 12:00 noon - 5:00 p.m.
Film fans - balance your Laura Secord event time with NIFF screen time! This is the inaugural year for the exciting new Niagara Integrated Film Festival, and NIFF organizers have given Friends of Laura Secord a 20% discount on passes and tickets to the amazing array of onscreen offerings. View a list of the Niagara Integrated Film Festival program offerings. Please use Promo Code SECORD to receive a 20% discount off your NIFF passes and tickets. If you are a fan of the vine, these are the weekends to visit wine country. The New Vintage Festival Discovery Pass is your key to two weekends of wine and culinary adventures at wineries across Niagara. Discovery Pass holders can enjoy eight wine and culinary experiences per pass on June 14, 15, 21 & 22. 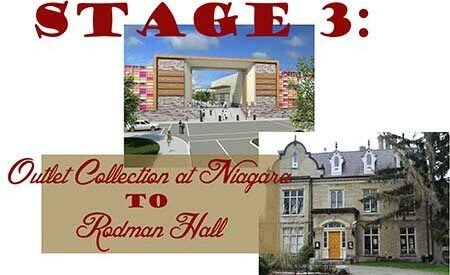 View a list of the Niagara New Vintage Festival Discovery Pass Listings. Please use Promo Code LS2014 to receive $5 off of your New Vintage Discovery Pass. 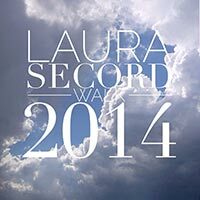 June 21 (LAURA SECORD DAY!) | 10:00 a.m. - 4:00 p.m. The Wine Visitor and Education Centre at Niagara College is literally right alongside the Laura Secord Legacy Trail! Drop by on your Laura Secord walk, walk over from the Outlet Mall at Niagara, or go directly to the Niagara College NOTL campus and enjoy a free tasting of the college's own superb vintages. Saturday 21 June - 11:00 am - 5:00 p.m. 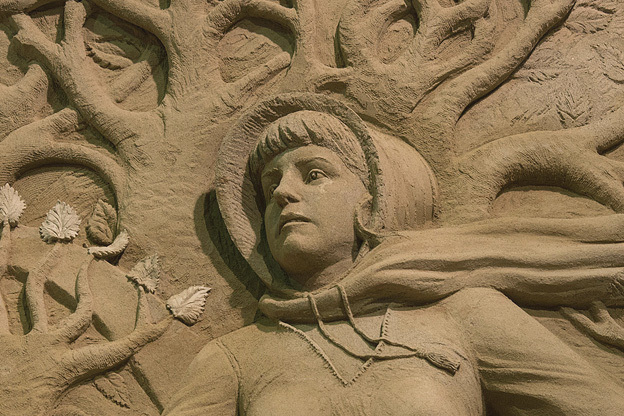 Celebrate Laura Secord Day with a visit to the incredible International Sand Sculptures Exhibition in Niagara Falls, Ontario. Seventeen of the world's best sand sculptors and artists used 3 million kilograms (6.6 million pounds) of sand and a month of time to create this astonishing and monumental exhibition of sand sculptures which stand between 4 and 7 metres (13-22 feet) tall! The exhibit features Laura Secord's famous walk and other significant events in North American history. You can visit for the special rate of $7.00 per person, taxes included, including free all-day parking! For $2.00 extra, you can visit the 'Adventures in a Parallel World' exhibition, an astonishing 3D immersion into fractal images that has just opened to the public. And if you can't make it on Laura Secord Day, come back another day and mention the magic words "Friends of Laura Secord" to the ticket office staff to receive this special admission offer!